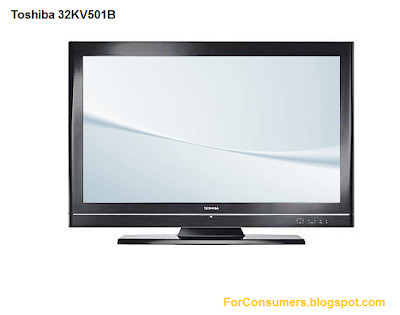 The Toshiba 32KV501B is a 32 LCD TV finished in a stylish Gloss Black finish and is part of Toshibas REGZA KV Series of LCD TVs. The Toshiba 32KV501B is an HD Ready 720p TV and features an integrated Freeview Tuner providing more than 100 subscription free Digital TV and Radio channels for greater viewing pleasure in addition a CI Slot allows for easy access to subscription services. This Toshiba LCD TV has a Dynamic Contrast Ratio of 30000:1 a screen refresh rate of 50Hz and features Dolby Digital Plus sound as standard. 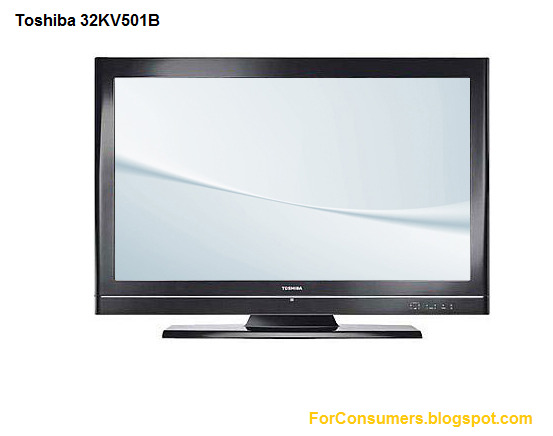 The Toshiba 32KV501B boasts a wide range of connectivity options for your other Home Entertainment devices including 2 HDMI USB Scart Component Composite and Audio. The Toshiba 32KV501B is excellent value and offers a fantastic solution for smaller living rooms or even a games rooms. Toshiba 32KV501B is sold in UK for around £250.